Have a wonderful Christmas and a doodle-ful New Year! Have a very merry Christmas and a joyful 2016! 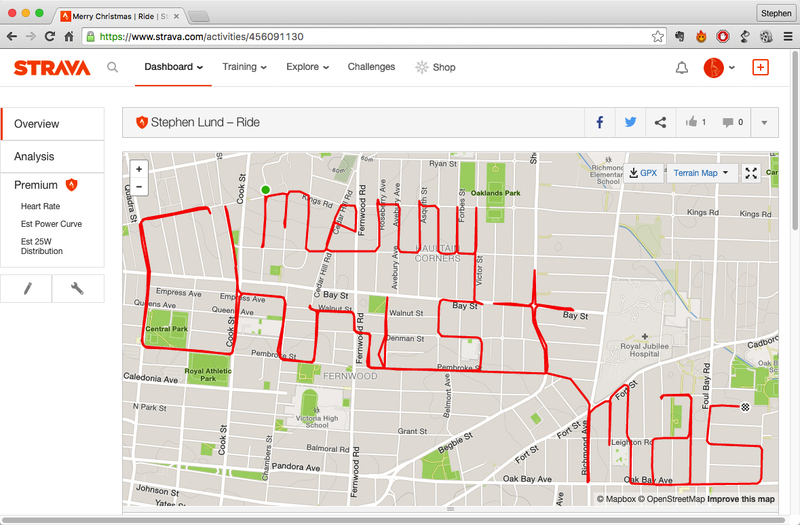 This entry was posted in bike-writing and tagged bicycling, Christmas, creativity, cycling, garmin, gifts, gps, gps art, Merry Christmas, strava, strava art, urban art, victoria bc. Bookmark the permalink. 2 Responses to Have a wonderful Christmas and a doodle-ful New Year!